Once your final measurements are approved, we'll get right to work on making your glass or mirror product. 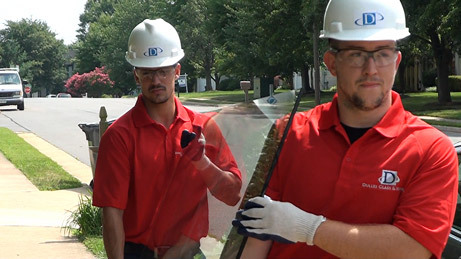 Because we fabricate the glass and mirrors in our high-tech facility, our lead times are short, and your product can usually be made within two weeks. Once your product is made, all you have to do is make sure someone is home on the installation day - we'll handle the rest! We arrive with your glass or mirror products and carefully bring it into your home. Our professional installers will install it to your approval. Once complete, we clean your space, and leave it in as good - or better - condition than when we arrived. 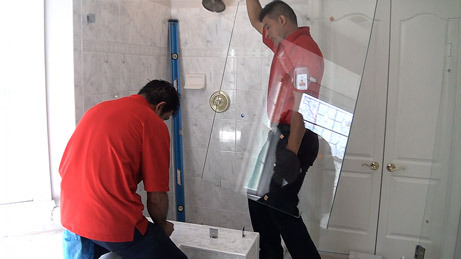 We guarantee your satisfaction with your shower installation.